There are many travel rewards cards available that offer valuable rewards for your purchases. However, most of those rewards focus on specific categories of spending, and redemption may be limited to specific airlines or hotels. If you want a more flexible travel rewards card that offers miles on all purchases, check out the Capital One® VentureOne® Rewards Credit Card. Earn unlimited 1.25x miles for each dollar spent on all purchases and unlimited 10x miles on hotels when you pay with your VentureOne card at hotels.com/Venture through January 2020. There is no limit to the number of miles you can earn and miles do not expire unless you close your account. There is no annual fee. Bonus offer: Get a one-time 20,000 miles bonus (equal to $200 in travel) after spending $1,000 on purchases within 3 months from account opening. You can redeem miles for travel purchases made within the last 90 days. Qualifying travel purchases include those made through travel websites or agents, car rentals, hotels, airlines, taxis, and many others. There are also opportunities to redeem for cash, gift cards, and merchandise but the value of your miles decreases to approximately half a cent per mile versus a full cent for each mile if you redeem for travel. Plus, you can transfer miles to over 12 travel loyalty programs. Bonus. The bonus worth approximately $200 is among the highest offered, especially by a card with no annual fee. No fees. There is no annual fee, balance transfer fee, or foreign transaction fee, which makes it a great card for earning miles without worrying whether you earn enough to cover the cost of the card. Furthermore, many travel rewards cards without foreign transaction fees have annual fees of at least $50 per year. 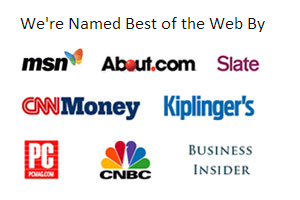 No rotating or spending categories. Many travel rewards credit cards award specific categories such as hotel stays or airfare with specific airlines. This can be a challenge if your travel purchases vary and are not exclusive to a particular brand. This card does not award based on rotating categories that change every quarter and allows you to earn 1.25x mile for each dollar spent, all year, regardless of the type of purchase. Redeem for any travel purchase. Not only are there no limitations on the purchases that earn miles, you are able to redeem your miles for nearly any type of travel purchase. It is common with other travel rewards cards to earn awards on your purchases that can be redeemed for either hotel stays or airfare with specific hotels or airlines. This card provides the option to redeem for a wide range of travel purchases, including bus fare and taxi fare, which isn't always an option with most travel credit cards. No introductory APR for transfers. This card does not include a 0% introductory APR offer for balance transfers. If you need to transfer a balance from another card, you won't pay a balance transfer fee, but you also won't save money in interest payments unless you are transferring from a card with a higher APR. The Capital One VentureOne Rewards Card is one of the best no fee travel rewards credit cards offering flexible redemptions. It is particularly ideal for those who frequently travel abroad because there is no foreign transaction fee. 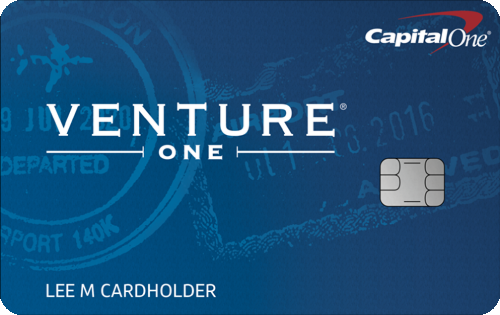 Click here to learn more and apply for the Capital One® VentureOne® Rewards Credit Card today!